Added by Citizen Reporter on February 8, 2019. At the first meeting under Oxnard’s new committee system, the City Council mostly considered a plethora of run of the mill “consent agenda” items,” which rarely have much in the way of presentation, explanation and debate, along with some significant wastewater projects. The city’s wastewater facility had suffered from a long period of neglect., mainly due to funding and priority issues. It was hard to believe that that the proposed Tourism District 1.5% assessment, utility bill waivers and seawall situation were committee “vetted”, based upon the static from public comments. Celebration of Black History Month. Leading Black community members accepted city proclamation at 2-5-19 Oxnard City Council meeting. The city also celebrated Black History Month. Local luminaries like Irene Pinkard and representatives of several fraternities and other civically active members of the black community spoke. The Council then congratulated Vida Newspaper and Founder/Publisher Manuel M. Muñoz for surviving 35 years. After 6 years, we at Citizens Journal have an inking of what it takes to survive in this business. too. Vida is one of the leading mostly Spanish language newspapers in the region. After a long struggle, it won a contract for city notices publication. Munoz told the audience that Vida grew out of a college project and that one of his mentors told him that journalism was the hardest way to make a dollar. 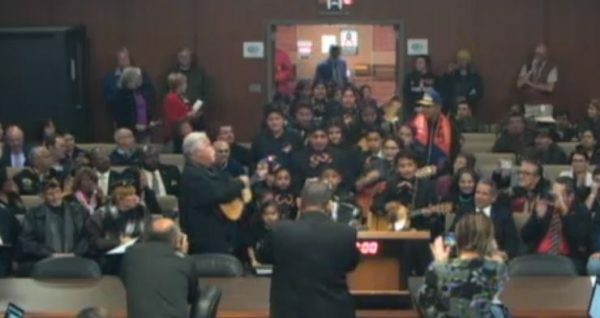 A youthful mariachi band led by Javier Gomez then swept into council chambers and played two lively numbers in tribute (watch them on meeting video- Item E-2). But like we said, two of the wastewater projects were the meat of the session. Last year’s $9.5 million grant was all appropriated and more …. RECOMMENDATION: That the City Council approve an appropriation in the amount of $2,640,532 from the Wastewater Treatment Fund 621 in the amount of $2,515,483 and Wastewater Security Contamination Fund 628 in the amount of $125,049 to fund Agreement A-7815 with AECOM Engineering for design of improvements to the projects of the Oxnard Wastewater Treatment Plant. City Engineer made presentation., laying out the materials in the staff report, attached, above, if you are truly interested. Collectively, this item M-2 and the next one M-3 would consume the entire $9.5 million grant received last year. What was evident was that tonight’s approvals were just for a few milestones in an approximately $80 million repair and upgrade program to be financed by grants, low interest loans, ratepayer collections and bonds. This in turn is part of a larger $300+ million capital program of indeterminate length, depending upon financing availability. In addition to Oxnard, Port Hueneme, the local naval base facilities and parts of Camarillo are also all dependent upon this system. 4. 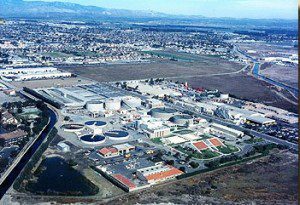 Approve an appropriation of $6,052,875 to new Capital Improvement Project “Oxnard Wastewater Treatment Plant Emergency Repairs” (Project No. 196602) and an Operating Transfer from Wastewater Collection Operating Fund 611 to Wastewater Treatment Operating Fund 621 in the amount of $6,000,000. Asst Public Works Director Thien showed a diagram (p.2) to explain what will be happening. Will focus on high risk projects first. Next 3-5 years on reliability issues. Interestingly, there was no discussion about Port Hueneme’s allegations that Oxnard’s wastewater system is creating an epic smell problem in our neighboring city. This has been a major complaint for months. Some of the programs under discussion would address this. Perello- agreed with the union men’s concerns. Madrigal- Don’t necessarily use lowest bidder. Ramirez- Concerned about earthquake risk. Ramirez- Passed a measure to hire local labor, but City Attorney says that is limited to 5%. Delgado raised important issues, but to late for this contract. Flynn- Could technology limit expense for some of these projects- biotower, etc? Public Works Director Gaglione- We ensure that vendors.contracts are in compliance. Charge by a union man that a contractor wasn’t carrying insurance was false. Have independent labor compliance company. Thien- There is a confusing array of ownership of assets. More time is need to disentangle, negotiate a deal. Perello- has been warned about poor condition of some pipelines, including those that go under the channel./ Cost and regulator risks. Some are identified in the 5 year capital improvement program. Some pipes are 30+ years old. RECOMMENDATION: That the City Council adopt a resolution authorizing the City Manager to allow customers to make late payments on debts owed to the City without penalty in certain urgent circumstances. This was triggered by the recent federal govt. shutdown. MacDonald- New state law SB998 limits ability to cut off utilities, calls for 60 day delay, exceptions for those with medical conditions, setting up payment plans. Treasure Molina says an approval would still leave the city to comply company with future changes in laws. He feels that the current ordinance is very inconsistent with SB998. Nguyen expressed concerns about setting a precedent which could subsequently expand the scope to include other distressed groups- a public policy issue, he claimed. Perello- City Mgr brought up a bunch of information he hadn’t considered. Flynn- There are enough unanswered questions to table this and take into consideration issues raised herein. Vote- abruptly tabled after comments, with no vote, just some nods. RECOMMENDATION: The City Council receive and file the report. IT couldn’t find Molina’s presentation for showing on the screen, so he used other materials. This current report wasn’t available at the committee meeting a couple of weeks ago and was just recently released. There are about $210 million invested and $2MM in the bank. The vast majority is invested in bonds, CD’s, money market, for returns. Market value is slightly lower than par value, although it’s not likely that the city would have to sell any prematurely. Investments are “laddered” (mature in succeeding periods in the future) to allow for time-phased bond maturities, front loaded into the current year for liquidity. All are very conservative, conforming to state laws to mitigate risk. The city tries to buy to buy at under par value to maximize returns safely and avoids buying to a premium to par value. Perello- Thanks, but numbers in the report are too small to readily read. There was no real Council or public interest in the report, even though over $200 million is involved. Eyes glazed over. Presumably the council thought the funds were in good hands when it voted 7-0 for the motion to accept. Ray Bletel- 18 wheelers have adverse impact on the roads, which are not configured to handle the roads. Says they are not allowed on the roads in some other communities. Please fix roads. Steve Huber- Helping Communities of St. John’s Hospital. Received several grants including for Brain Injury Center, Interface 211 grant, Community Action to teat homeless dental needs. Javier Gomez (Mariachi guy)- Thanks to city for its vision in the arts. Gabriella Garcia- Senior at Pacifica HS- please help us build anew High school, Overcrowded now. Even impacts neighborhood traffic. Playing fields are insufficient, too. Claims schools improving. Amanda Fagan- Naval Base VC communications- Joint land use efforts. Citadel Shield exercise underway through USA until 2-15-19 to enhance training and readiness. Pete Placentia- Complimented Vida. Says he is Migrant Director for Oxnard School District. Please fix the roof of boxing club. Shawmeen Kanser- Re: Homeless. Look for opportunities for outside funding for homeless. Local crime rising, some areas are looking like skid row. Also a blight on tourism. Raise money via assessments, whatever. Ron Bemon and entourage- Members of Oxnard PowWow Committee. Want to present new event April 13-14- an Inter tribal (“Native American”) PowWow honoring elders and veterans. Want support, funding from businesses, plus up to $10,000 from the city and/or waive permit fees. Debby Mitchell- Mandalay Bay (waterfront community) Homeowners board member- “One Harbor” concept was made by Ventura County Harbor Director at last neighborhood Council meeting. Wants $59/home/month. Mitchell said that her group has been trying since 2006 to get assessment raised. Similar to their own proposal of $66, to fund landscaping and seawall repair. Offended that no one from the city came to speak. Frustrated with communications with Council and staff. Mayor Flynn said he wasn’t even aware of the presentation. Group says that they have been negotiating with the city over seawalls for 14 years with little accomplished. Mitchell and others told me that whenever there is a change in city players, it all reverts to square 1 and starts over. There has been no litigation to date. Carol Taylor- Mandalay Bay resident. Struggling to understand One Harbor concept. Sees an effort to put the burden of patrolling on the harbor residents. City and county paid before. The proposal ignores Mandalay’s founding documents Would be an additional $700 annually. Meanwhile have a greater demand for badly needed seawall repairs (which may approximate $70 million). Carlos Ruiz (translated)- Rent is being increased every 6 months and apartment buildings are in poor repair. Rain is leaking through windows and doors. Owner unwilling to repair anything. Seven buildings near Charles St. are involved. Mayor Flynn offered for the city to get on it right away. Darlena Magama- Homeless in area, no hep provided, housing is an issue. Why is the city not helping? We were told a traffic/parking study was being done, but learned that was untrue. Called trash dept about containers left outside- briefly remedied, now back to where iot was before. Pat Brown- Attended meetings on upgrading Oxnard Blvd/downtown area. But there are more homeless people and nothing much going on. Need to announce/communicate/motivate on plan, otherwise nothing will change. Trucks on Oxnard Blvd getting worse, should take other routes. Timothy Gingra-Chair Rio Linda Neighborhood Council. Spent $300K in Quimby funds, but subsequent damage maintenance problems have surfaced, including those inflicted on rubberized walking track. Needs addressing- help! This would set up a taxing district with presumed tourist industry stakeholders to put up a 1.5% assessment to be used for promoting tourism. Some who would be included either say they would not benefit or that the big hotels would benefit disproportionately. These same big hotels also had a revenue-weighted vote, which opponents think is unfair. Asst City Mgr. Ashley Golden says that after this presentation, there will be one public hearing, then they will attempt to conclude this in early March. Speaker- The assessment is not good for small hotels and is designed mainly to help the large ones. Likened it to “taxation without representation.” Forces them to charge more to local/displaced people. Renee Au- Re. 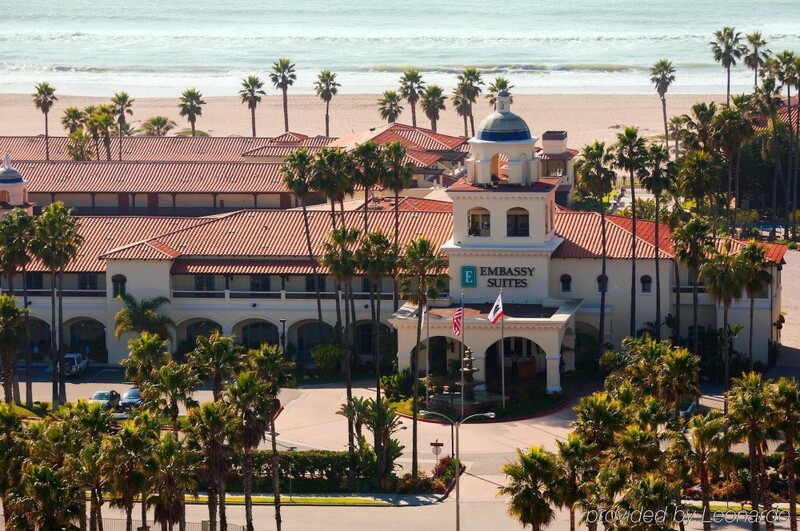 Harbor & Beach Community Alliance- Hope city will include Channel Islands Harbor in discussion. It is one of only 12 small boat harbors in CA., a tourist attraction and Gateway to Channel Islands National Park. Norman- New development in Wagon Wheel district is impressive. New 1 1/2% tourism assessment fee was said to have big support from local hotels. Oxnard Convention and Tourism Bureau is trying to give that impression- also the VC Star newspaper and KVen radio, but this is not true. It’s taxation without representation. Motels (smaller businesses) do not actually have a say. Jim Hensley (- Like the idea of developing a plan. Need infrastructure. Need lifeguards. Signs say dangerous currents, no lifeguards. Need for tourists. Need youth lifeguard training. Pat Brown- Oxnard people have no idea of the significance of tourism to Oxnard. Need to fix Oxnard Blvd, bring more tourism to downtown, fix up small hotels as “boutique” operations. Patricia Young- Oxnard tourism very important- beaches, harbors, farms, much more than just downtown. Could exclude certain hotels from assessment. Ned to promoter features of city more. Perello- Are votes weighted based on size/$? We have been subsidizing convention bureau. Want them to stand on their own. Short term rentals without permits is an issue. But some are offering to pay for this. Likes idea of lifeguards. Ashley Golden says votes are weighted- 93% to hotels. Councilman MacDonald says 80% occupancy rate. He did not address the equity issue of the smaller hotels. Thinks propsal makes good sense. Basua- Supports. Additional revenue oppty. Hearing only- no vote required. Item G-2 was for an ordinance to permit 2 monument signs in the Wagon Wheel development area- now a commercial area of Riverpark. Could be up to 20 ft tall. MacDonald- Enthusiastic about getting a Brazilian steak house. Need signage to attract business. Perello- It won’t be visible from freeway. Why not? Should be. What are requirements. Development say that specific plan will be adhered to and there will only be two locations. Wants to make it more visible. Location/spec change would require change to specific plan. City Mgr Nguyen- Freeway visible signs would involve CalTrans. Flynn- wants better visualization renderings. H- City Mgr. 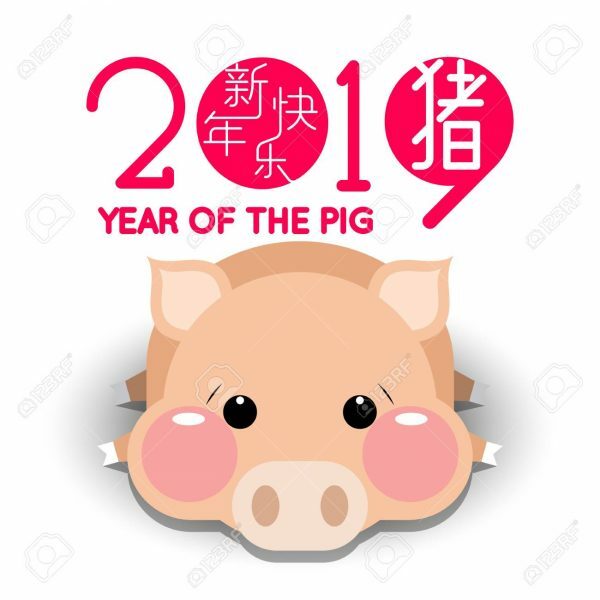 Report- Happy Lunar New Year of the pig. City Mgr. Alex Nguyen, who is of Viet Namese ancestry, wished us a happy lunar new year of the pig. City Clerk Michelle Ascension- CAG (Citizen Advisory Groups) applications now being accepted. look on Oxnard.org or get from City Clerk. Due Feb 15. Shari Klima now a Deputy City Manager (was with City Attorney’s office before). Jeff Lambert has just joined as Development Director (was in same position in Ventura). Community Services Committee announcement from Terrel Harrison- Re: College park recreation field. Open to public during “rest” periods. Basua- attended MLK march, met with Channel Islands Harbor community, met with Fire Chief Base. MacDonalds. Gold Coast transit meeting Wed morning in old 3rd St. office. sits on committe which controls train service in teh region.of cars into public transportation. Madrigal- Thanks for those working outdoors during the rains. Shout out to youth basketball teamwork. Went through park master plan meeting- good job. went o Rose Park neighborhood meeting. Thanks to Vida newspaper for pic of him and Dad. Next Wed 5 pm neighborhood meeting at Harrington School. Flynn- New committee system means council meetings are now only every two weeks, with all day committee meetings on alternate weeks. Says thsi will allow “vetting” by committees before going to council. Council meetings should reflect prior committee action. He chairs Finance committee, shares res with Perello and Basua. Presenter Ellis will address pension issue in upcoming meeting. Marekt conditions will not support growth needs. What will effect be on general fund? Flynn- supposed to be non-controversial items. #7- Perello on Mandalay seawall repair budget- Saw a lawsuit, same addresses as lawsuit participants. Hopefully speed of action will increase. There are claims of damage in 2012 and 2014. City not in financial condition to address. Don’t want to be part of dilly-dally and delay. plan seems to be coming along. Public has questions on past and future work. This will be really expensive. Public Works Director Gaglione- not delaying. Looked at original repair plans. There are better options. Use sheet pile- will be quicker and only 30 of original $60MM plan and will last much longer. Perello- any plans to find outside funding? Gaglione- looking at Corps of Engineers and FEMA money- $3mm. Flynn- how do we know if contractors have had bad projects? Some residents have dug up dirt on contractors. Gaglione- we go for most qualified engineering firms, not lowest bidder. Looking at specific team members too. Gaglone- will dig deeper on contractors if staff have concerns. They must carry errors and omissions insurance. Debbie Mitchell- Mandalay Neighborhood board-. Money for study coming out of their assessment. Should already have been paid for. Work calls for structural support, not replacement of sea walls. Now being asked to pay 100% for an engineering study which is putting off repair work planning for years. City had recommend tripling assessment to do work. We shouldn’t pay fora study that studies a study. Bill Clark- Supports what Debbie said. Supports concept. Not totally opposed to still another study. City owns the seawalls. Needs collaborative solution. ‘Abel Magana- (Downtown District official) On L-3 ordinance- code of conduct for the Library- community standards/public safety- supports. Please expand to ALL public places. Ongoing issue in downtown- benches used exclusively with transient vagrants. Camps. Poor sanitary conditions. Impacts public, tourism. Mayor Flynn- Now that we have 24 hr shelter, should they be encouraged/taken to shelter? Nguyen- changing strategy, focusing on downtown. Carol Taylor-Mandalay Resident. Trans Systems completed study, recommended pilasters. Why doing still another study. Recommended procedures required removal of docks and decks- VERY expensive, They have E&O insurance- residents don’t. Pat again- How does bidding work in City of Oxnard- like GSA? Think vendors already selected. method used successfully in Long Beach. TOTALLY different environment- they don’t have docks and decks. Process takes away three feet on each side from the channel. Mayor Flynn- Second study was to look at alternatives to skyrocketing estimates (now $80 million?) of last recommendations. Public Works Director Gaglione- First round of repairs went wayyy over budget- not just inflation. Best practices suggest alternative solutions. Was to strip, epoxy, wrap seawall. Back of walls would still be exposed. Alternative method could get 30-40 years. Don’t want to spend so much on experimental./ Sheet pile is 1/3 the cost. Some narrow channels might not work. Removal and replacement of docks included in costs (what about decks?). New method could last up to 100 years. We don’t see immediate dangers of collapse. Flynn- Saturday HOA presention will cover much of this . Who actually pays for it? City has no money. Nguyen had no answers, says we will have to do what is fair. Approved 7-0, with L-4 removed.